StatisticsTutors.com - redesign of an established website featuring statisticians for hire. 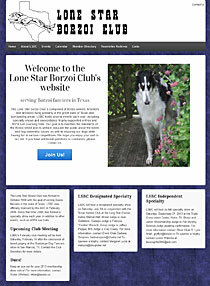 The inaugural dog club site hit the WWW in 1998 (when I helped co-found the club) and has gone through a couple redesigns, the most recent in 2012, when it was populated into a Wordpress CMS. An abbreviated site for our Silken Windhounds. Just an excuse to play with a new design in Wordpress! 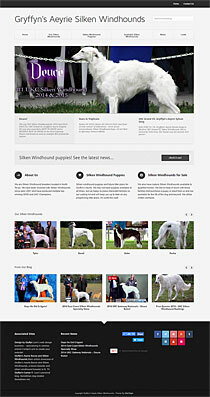 Dog show news and performance event news and results are posted in this dog breeder's website news blog. Features two sliders on the home page, one of them featuring excerpts from the blog posts. 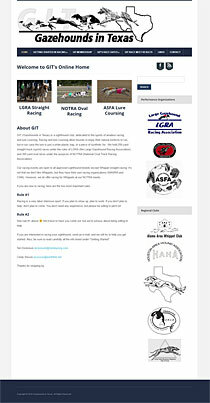 Website for a local north Texas racing and coursing club for Sighthounds. 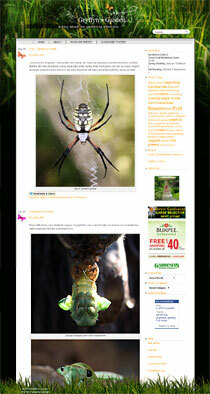 Gardening blog using Wordpress as its CMS. Features anecdotes about novice gardening attempts and has a multitude of photos. 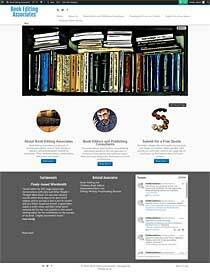 New and abbreviated site for Book Editing Associates (see below). 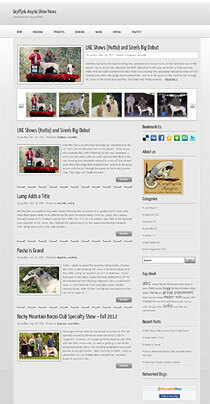 Built in Wordpress, it lists editors and their areas of expertise, along with select testimonials. Copyright (c) Design by Gryffyn | R. Lynn Shell | Gryffyn Internet Concepts. All rights reserved.